The START SAVING Challenge, is a FREE, online saving challenge created by The Budget Mom to help people learn how to save successfully and give them the knowledge to reach their saving goals in just 15 days. 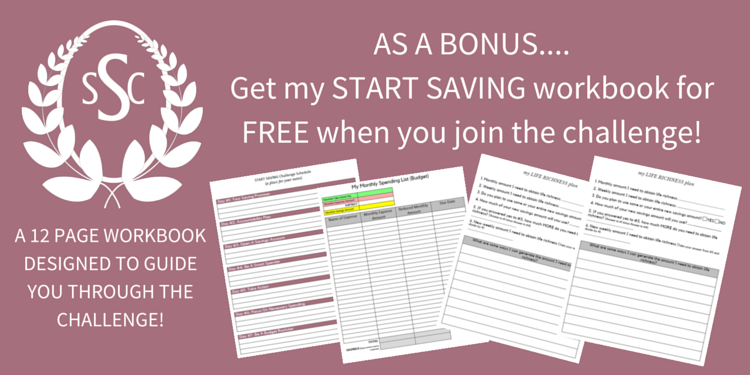 If you join now, you will also get the START SAVING Workbook! The workbook is filled with free, financial resources and forms to help guide you through the challenge! START SAVING IN JUST 15 DAYS! Are you ready to start saving? Do something positive for your financial life and let's work together on your saving journey via The Budget Mom Family! Thank you for requesting information from The Budget Mom. Before I send you information, I want to make sure I have your permission. Please check your email to confirm your address. © Copyright 2019 The Budget Mom. All rights reserved.